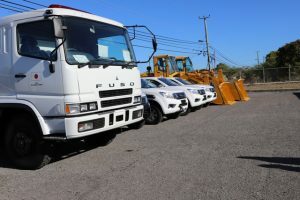 The Nevis Island Administration (NIA) through the Nevis Disaster Management Department (NDMD) is on the receiving end of a multi-million dollar gift from the government and people of Japan to assist with disaster management. 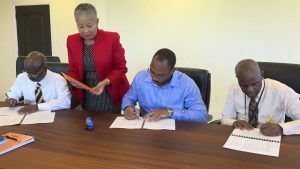 The Nevis Island Administration (NIA) through the Nevis Air and Sea Port Authority (NASPA), is one step closer to upgrading operations at the Vance W. International Airport at Newcastle, when a Concession Agreement regarding the development of the airport with B&L Worldwide Ltd. was signed on February 06, 2019, at Cabinet Room at Pinney’s Estate. Hon. 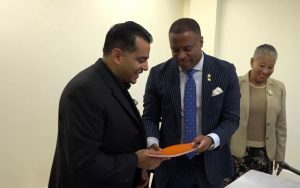 Mark Brantley, Premier of Nevis, believes the people of Nevis are looking forward to the start of construction works with great anticipation for a major hotel development at Potworks in the Parish of St. James’.